ABS-CBN, the Philippines leading media and entertainment company, showcased its biggest and top rating fantasy-action drama for 2017, “La Luna Sangre,” in a special screening before delegates of the second ASEAN-Japan Television Festival held recently in Manila, Philippines. 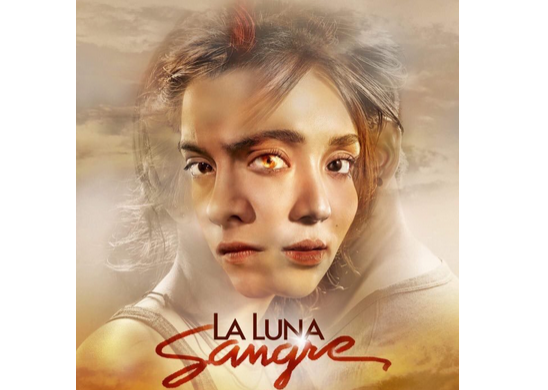 “La Luna Sangre” is one of the most watched and most talked about programs in the Philippines today. The story revolves around the journey of protagonists Malia and Tristan, whose lives intertwine because of a prophecy made under the bloodmoon. ABS-CBN also exhibited “La Luna Sangre” alongside the network’s other top dramas “Lost Hearts” and “Wildflower” and box office hit movies such as “Finally Found Someone” and “Love You to the Stars and Back” to content buyers in a special ASEAN-Japan market. The company, represented by business unit head and TV and film director Ruel Bayani, also joined a one-day workshop on content and production that gave a market overview on ASEAN countries and Japan, and discussed new trends in program development and co-productions, new media platforms, and challenges involving cross-border policies. As part of the delegates’ final itinerary in the TV fest that ran from Sept 6 to 9, ABS-CBN welcomed them to its broadcast center and studios where they visited the set of ABS-CBN’s hit noontime show “It’s Showtime” and kiddie gag show “Goin Bulilit,” met the shows’ producers, and had a quick meet and greet session with breakout reality TV teen stars Kisses Delavin, Marco Gallo, Edward Barber, and Maymay Entrata. ABS-CBN remains the leader in providing world class Filipino content and the Filipino master in localizing worldwide hit formats.